Józef Teodor Konrad, also known as Joseph Conrad was born on December 3, 1857. He spent most of his childhood in Poland. Prior to becoming a writer, Conrad was a Seaman for the French and British merchant marines. He spent twenty years in the merchant navy. Conrad wrote many novels like Heart of Darkness, The Secret Agent and Lord Jim, and various short stories. The experience he acquired ( he visited India, Africa, Austria) would later help him in his writing career, thus allowing him to deal with themes such as experience, nature, the duality good vs evil in novels such as Lord Jim or Heart of Darkness. 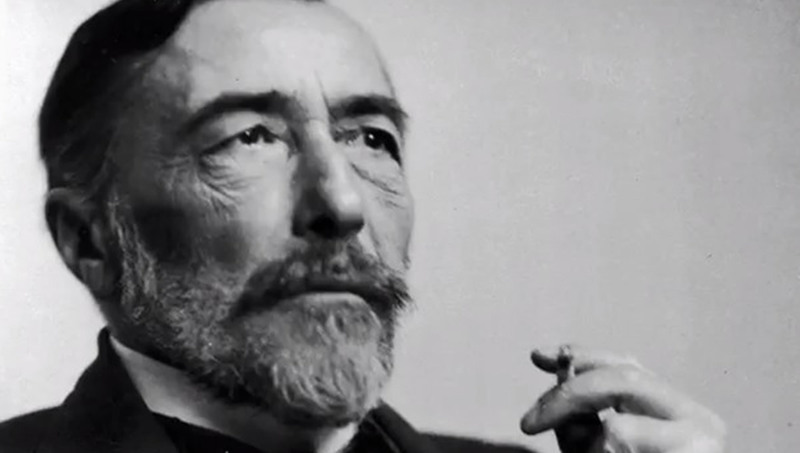 Joseph Conrad has marked the English literature and he is considered as one of the greatest English writers. His writing style, vision and was unique and he inspired great writers such as Hemingway and Fitzgerald. Read our collection of Joseph Conrad’s quotes to understand the writer and his vision of the world. As to honor – you know – it’s a very fine mediaeval inheritance which women never got hold of. It wasn’t theirs. Don’t you forget what’s divine in the Russian soul and that’s resignation.